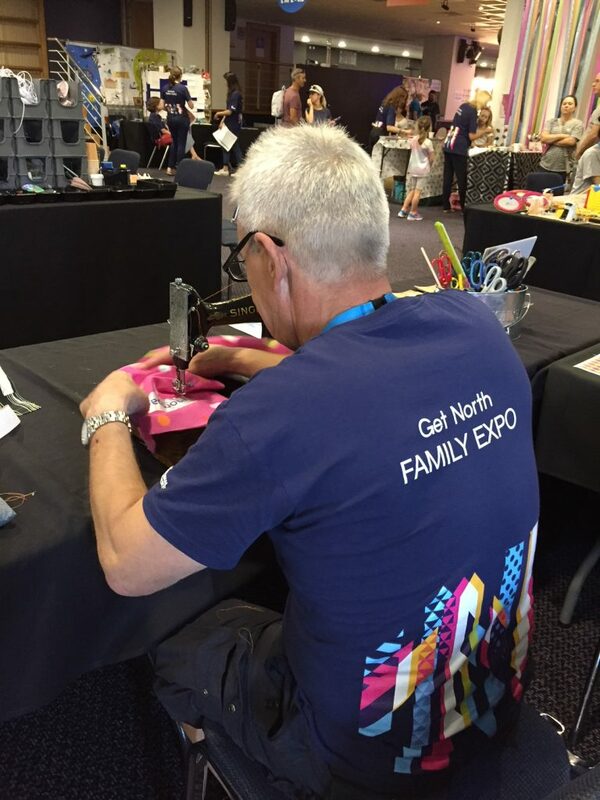 Here at Rejig Towers we had a very busy summer taking part in some of the Family Expo events at St. James Park, Newcastle as part of the Great Exhibition of the North. 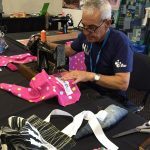 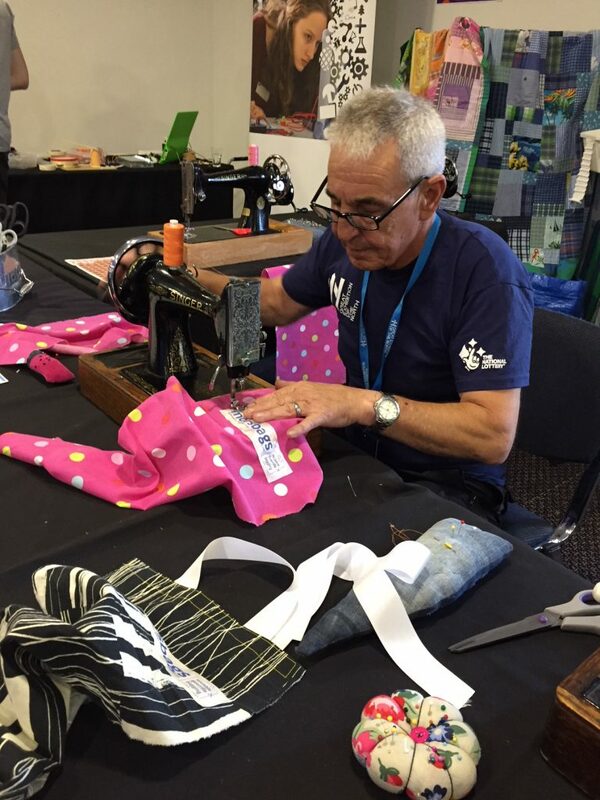 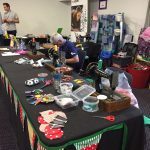 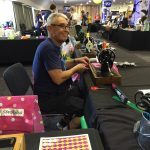 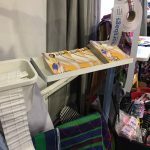 The events were really well attended – over 6,000 people over the main weekend – and everyone on the Rejig stand worked their socks off helping families to make recycled cloth bags using our vintage sewing machines. 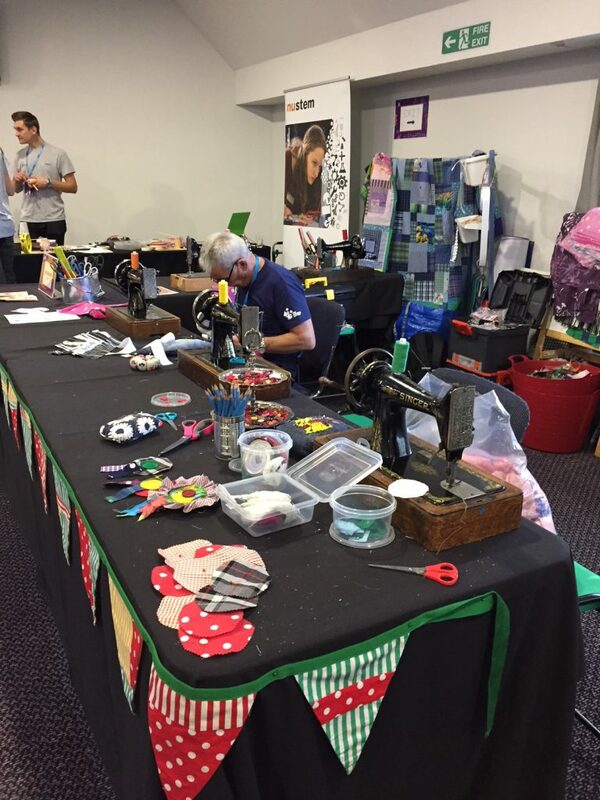 In fact, it was so busy that our stand, along with many others, was completely mobbed on both Saturday and Sunday and our volunteer workers found it hard to stop for a break to eat their packed lunch! 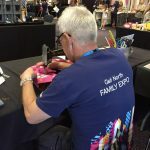 It’s a good job we all enjoy showing everyone how to stitch on the machines so much . 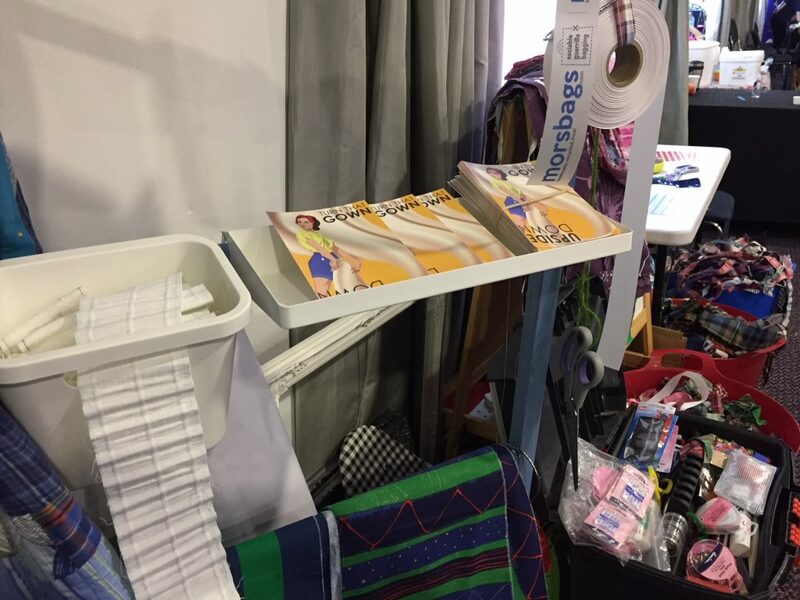 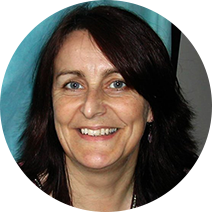 . .
Special thanks to everyone who worked over the weekend on the Rejig stand with me – Tillie, Gwen, Frank and Ellie. 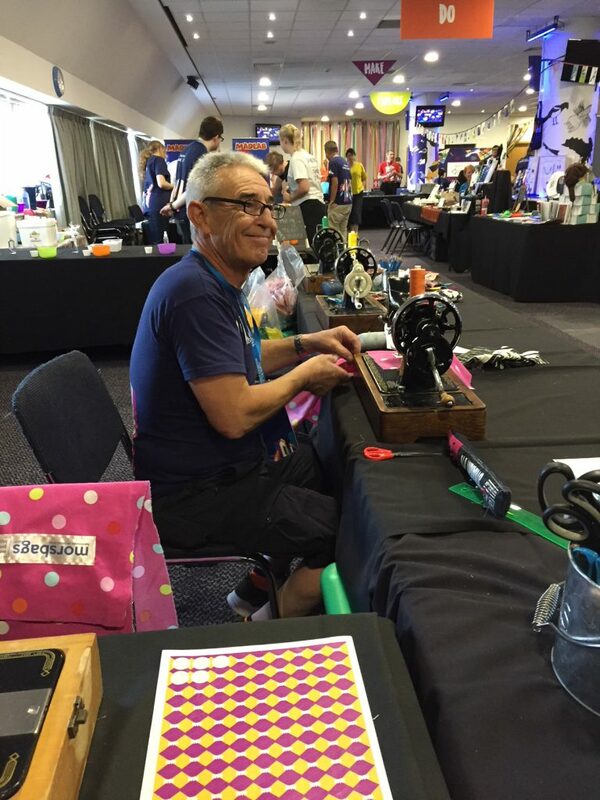 And an extra shout out to Frank who does a great job keeping all the vintage hand machines running with his on-the-spot repairs and – we couldn’t do it without him!